In the western part of the Caribbean, just south of Cuba lies the island of Jamaica . It remained a British conlony for several centuries until it gained it's independence in the 1960's. Jamaica is among the most well known of the Caribbean islands, and has contributed nush to world culture, including rastafarianism, which is a popular religious practice in Jamaica, as well as the music of Bob Marley, which is loved by those all over Jamaica and throughout the world to this day. Keep in mind that the all-inclusive concept was born in Jamaica and no other destination has so successfully matured and marketed the concept. All-inclusive resorts can very enjoyable. Some of the best romantic retreats are not all-inclusive at all, but are the smaller, more natural villas and bed and breakfast. 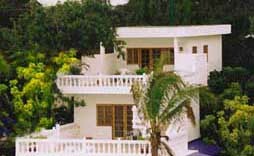 Staying in these types of accomodations allows the visitor to have truly Jamaican experience that you could not get when staying in an all-inclusive resort. 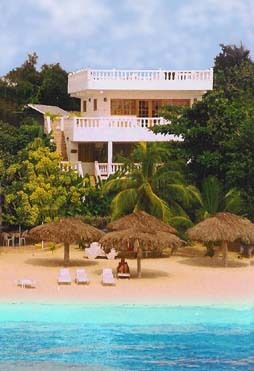 Jamaica draws many celebrities from all over the world to it's sunny shores. Jamaican weather really only has two seasons, the wet season and the dry season. Dry season is usually the best time to visit, as rainfall is at it's least, and the days are moderate and sunny. The wet season is not uninjoyable howerver, as frequest showers cool the island almost daily. The northeastern part of Jamaica receives the most rainfall. Hurricane season comes to the island in summer and fall, allthough Jamaica has rarely found itself in the path of a destructive storm. Much of Jamaica is covered by mountainous terrain, especially in the east where the Blue Mountains lie, rising up to 7,402 feet. Despite the island's small size, Jamaica has several distinctly different climates. The northeast is very mountainous and lush due to the heavy rainfall that the area receives. The south central coast is relativly dry and receives little rainfall. The vegetation here consists of scrub and even cactus. There are many different activities that a visitor to Jamaica can enjoy. Scuba diving, jet skiing and boating trips are favorites for travelers. Crocodile safaris, mountain biking and horseback rideing are also popular. Jamaica is well known as a popular spot for weddings and honeymoons, with many couples from all over the world coming to the island every tear to tie the knot. Another benefit of visiting in the summer time is lower prices in the markets and smaller crowds. So now that you know a little bit more about Jamaica, why don't you come and see it for yourself!